When I travel to new places, I like to do research on my destination. What is the history? What are some interesting sights to see? Where are some places we can eat? 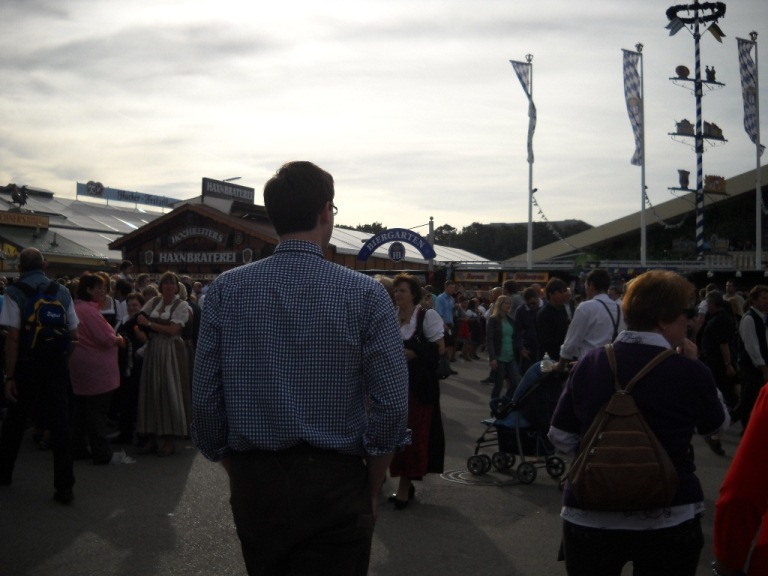 When Sebastian and I decided to attend Oktoberfest this year, I did what I always do and started researching. I learned a lot about the history and had a pretty good idea of what it would be like – except I was wrong. 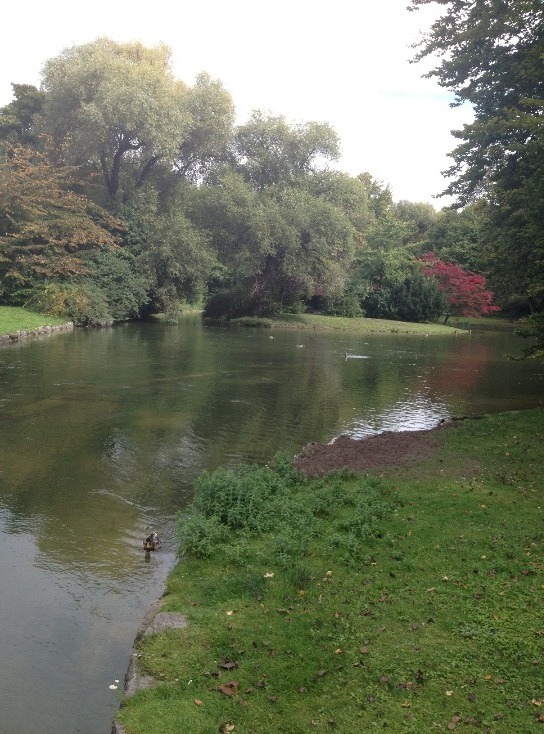 Any idea of what I thought it would be like was amplified by a thousand (in a good way though). I imagined there would be a lot of drinking and a lot of people and I was right (times a thousand). 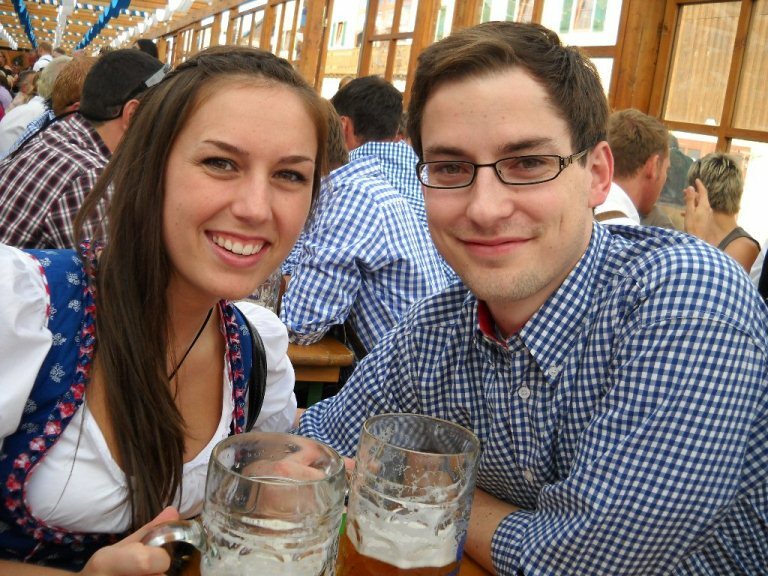 Sebastian and I arrived in Munich late morning and met up with Thomas (Sebastian’s twin) and his girlfriend Milena. 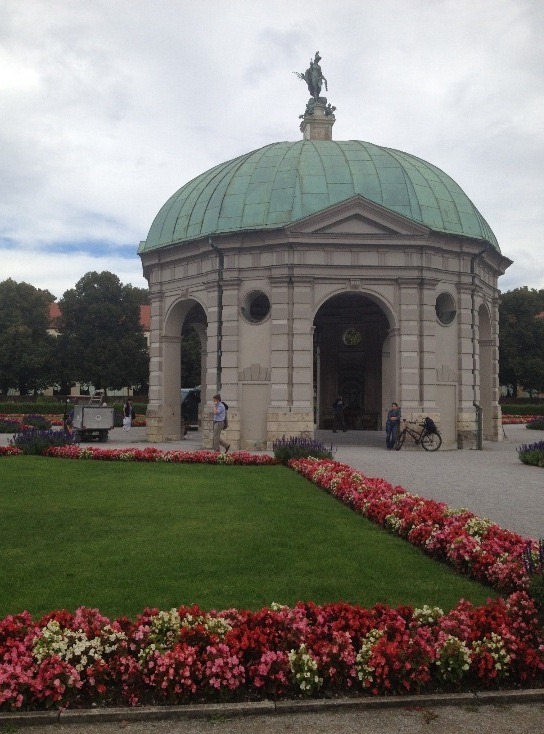 Since we couldn’t check in to our hotel yet, we decided to get lunch at my favorite brewery in Munich, Augustiner. After a relaxed lunch we checked in, quickly changed and were on our way to the festival. 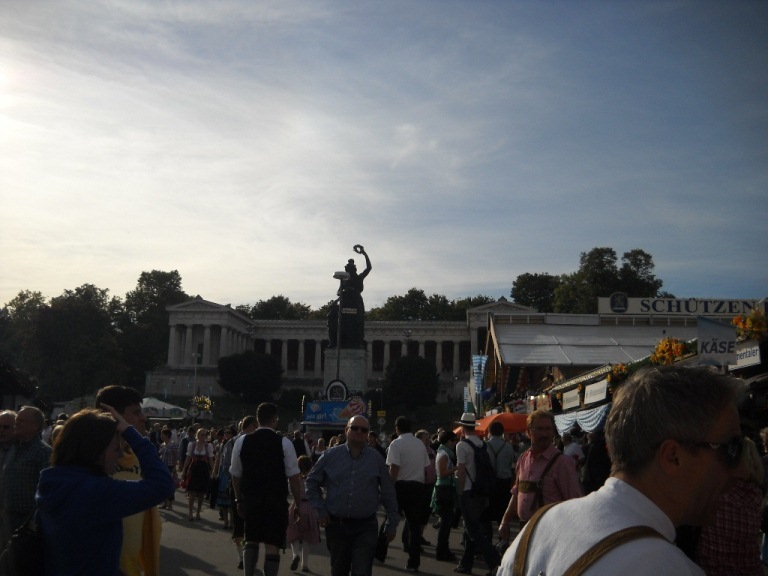 We weren’t exactly sure how to get there, so we followed the crowds of people in dirndls and lederhosen. And we arrived at more than just a beer festival. 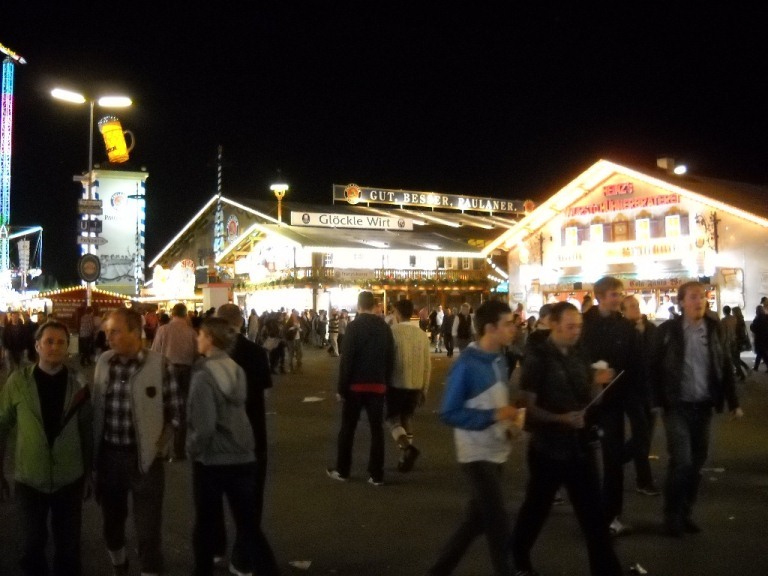 Oktoberfest is a huge carnival with food stands, rides, games and 14 large beer tents. And people, lots and lots of people. In the tents alone (inside and outside) there is seating for almost 100,000. Add that to all the other people and you have A LOT of people. It was crazy! Most people probably don’t know this but you won’t find beer walking around. 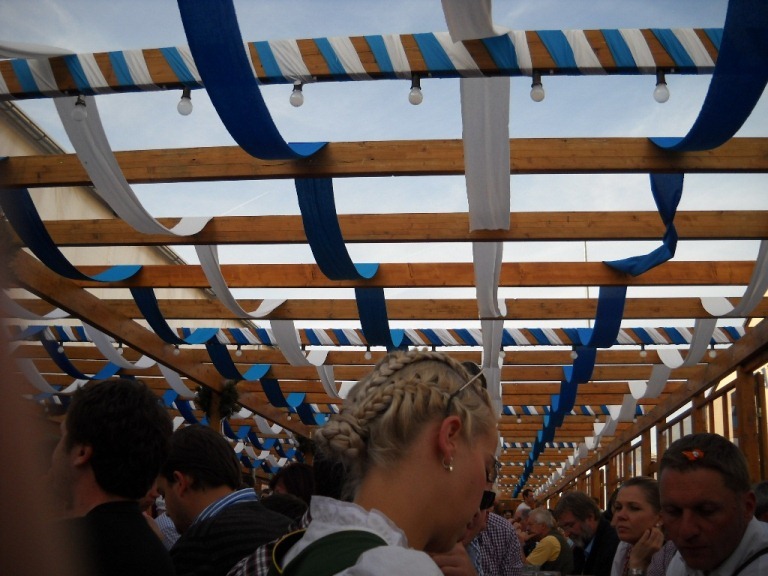 You must be served beer from one of the tents, so finding a seat is very important. However, finding a seat is not easy, and it’s almost pure luck if you do. You can reserve seating ahead of time (like 6 months or more in advance) or arrive very early to grab a table. We did not reserve seats, and it took us about an hour, but Thomas finally spotted a place for us to sit in the outside part of the Schützen-Festzelt tent. While we weren’t close to the music inside, I was very glad our seats were outdoors. It turned out to be a beautiful evening. We sat by three guys from Valencia, Spain and an adorable older couple from Germany. It was an awesome experience. 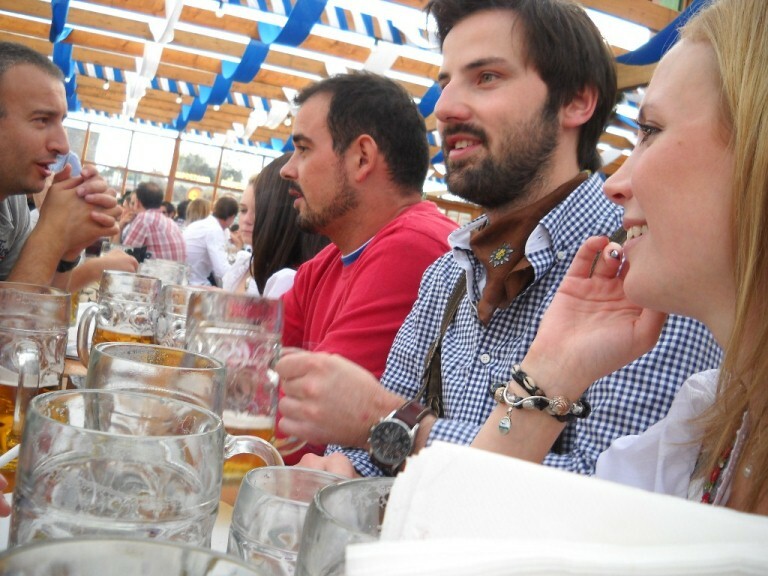 We were all different ages from different places and different backgrounds, all laughing and drinking and enjoying Oktoberfest together. And speaking of drinking, I drank a lot. I don’t remember much from the end of the night. I know I stopped to make Sebastian buy me a cookie, and that we made it safely back to the hotel. Needless to say, I didn’t feel so great the next morning. After some aspirin and lots of water, I was finally able to get dressed and explore the city with Sebastian, Thomas and Milena. 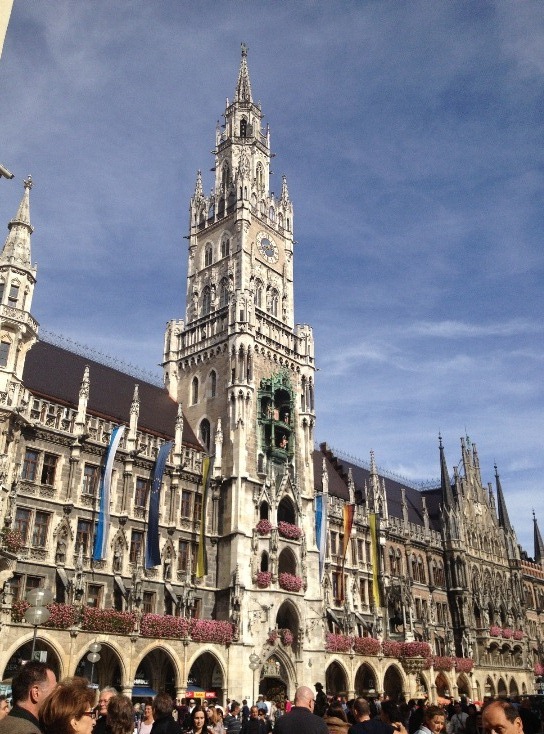 We stopped by Marienplatz and spent the rest of the day walking slowly through the English Garden. 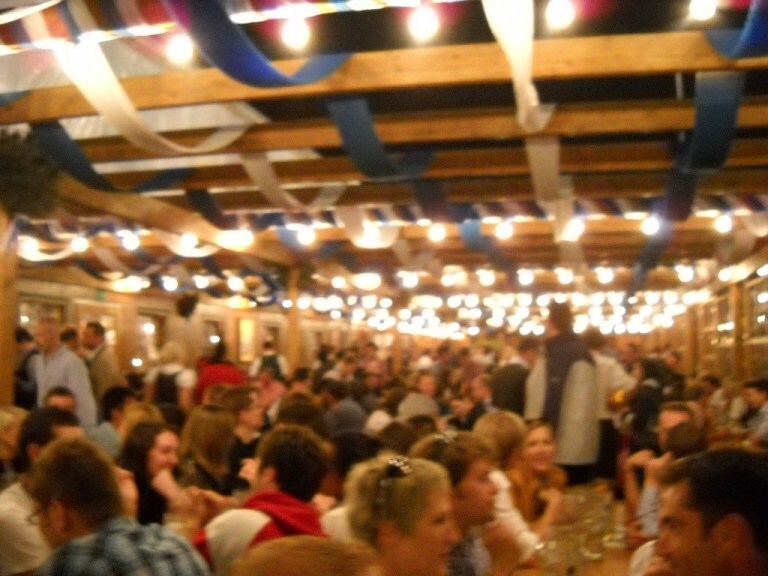 It was nice way to recover from Oktoberfest. It was definitely an incredible experience and one I won’t soon forget. You can bet I’ll go back some day, but maybe just drink a little less beer next time. 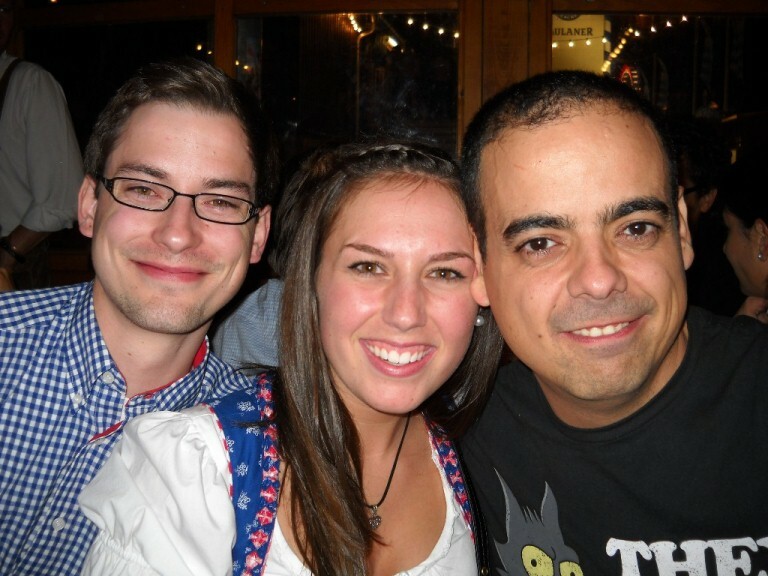 And an added bonus: my dirndl now doubles as a Halloween costume. Winning!